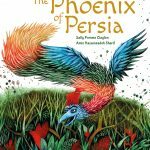 SaltWay’s Chris McLaren enjoys a challenge, so when one of the UK-based distributor’s Iranian contacts told him they were moving to London to start a children’s publishing company, he took the meeting. 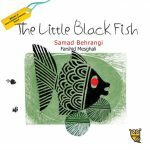 As a result, SaltWay (6.1 E127) now represents Tiny Owl, an increasingly successful list featuring traditional Iranian folk tales illustrated by some of the best contemporary Iranian illustrators. 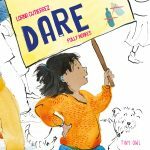 “It’s the kind of thing we do — work to find a niche for quality illustrated books,” McLaren tells Publishing Perspectives. 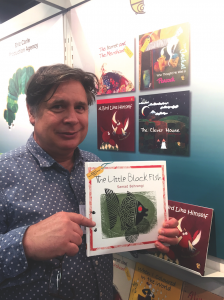 Encountering initial reluctance from some UK booksellers, SaltWay have persevered and one Tiny Owl title, The Little Black Fish, recently became a Guardian Top Ten title. McLaren is now fielding orders from as far away as … Iran itself. 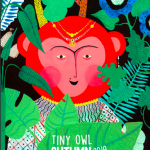 SaltWay sells throughout Europe, the Middle East, Africa, South America and Southeast Asia, representing lists such as Atlantic Publishing, Kew Publishing, FlameTree, Real Reads (all UK) and Wilkins Farago (Australia). But bringing high quality illustrated books into the UK remains McLaren’s passion. “One of our top books of this year’s fair is undoubtedly Memento Mori: Testament to Life by Erika Diettes, a beautiful slipcased two-volume photographic work from Colombia about grief and remembrance. 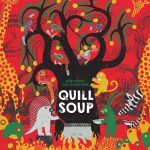 “It’s the kind of high quality book we will stay with and work hard to find a market for,” enthuses McLaren.